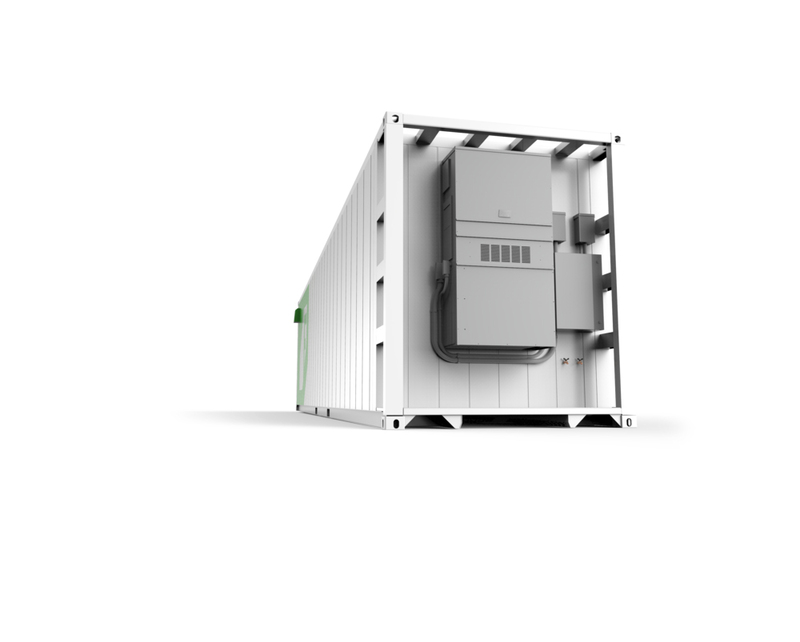 The next generation of container farming is here. The Greenery™ is the culmination of years of development and learning from hundreds of farmers. Finely crafted from the bottom up with brand new technology, the Greenery boasts even more growing space and a totally new farming experience for users in the same 320 sq. ft. footprint. As the successor to the Leafy Green Machine™, the Greenery is the most versatile, turnkey farming solution on the market. The Greenery combines dynamic aisles with new plant panels and LED technology to boost yields and create streamlined operations for the farmer. 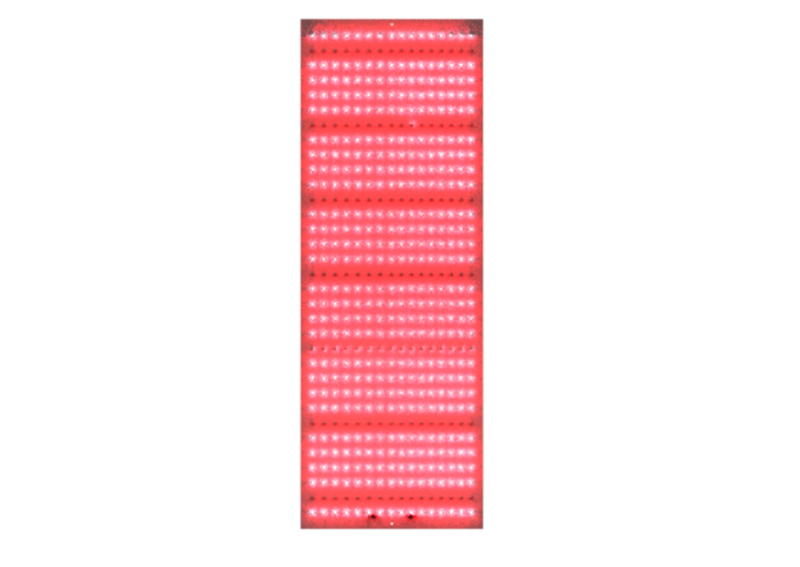 Bright and directional light from 112 rigid 5:1 red-blue LED panels provide plants with a triple the light energy, resulting in larger and fuller crops in less time. The LED’s default 5:1 red-to-blue ratio is ideal for all stages of mature plant growth. Farmers can also switch between blue- and red-only spectrums to imitate sunrise and sunset. Unique 5-channel plant panel design replaces traditional crop columns to unlock more growing space within the same small footprint. Unlike crop columns, plant panels reduce and repurpose unusable space, turning it into fertile ground. With their 5-channel design, plant panels create a unique opportunity to maximize production. Larger crops are grown in traditional rows, but strategically alternated to maximize available space. Capitalize on the plant panel’s unique design by interplanting smaller crops between larger ones. Small herbs and leafy greens can take full advantage of the Greenery’s 70% extra growing space. A stainless steel seedling table is engineered to safely house plants in their first 2-4 weeks of life while giving farmers a sturdy surface for seeding, transplanting, harvesting, and packaging. Independent irrigation systems continuously nourish plants with nutrient-rich water in two 90-in. seedling troughs. Seedlings grow up toward 3:1 red-to-blue LED light panels that focus directly onto the canopy, with minimal light fall-off or wasted energy. The seedling nursery and workstation features a vertically integrated 40-gallon water tank that is waist-high to make access and cleaning easier. Electrical plug-ins are conveniently located to the side of the table and a simple twist of table legs gets you a perfectly level work surface. Smooth flooring replaces grooved flooring throughout the entire container to make cleaning easier. 256 legacy crop columns totaled in 21,501 inches of linear growing space, compared to 440 individual plant channels that create 36,960 inches of linear growing space (a 70% increase). A mobile rack system lets farmers shift previously fixed grow rows to create custom layouts that support a new variety of crops (larger, vined, rooted, etc.) while drastically improving workflow. Rigid LED panel arrays replace previous rope lighting, tripling the crop’s access to light energy and resulting in fuller, heavier plants within a faster growth period. Previous LED rope lighting registered at 100 PPFD at 9 inches, compared to directionally-focused LED panels, which register at 200 PPFD at 18 inches. With 3x the intensity without 3x corresponding electricity draw, the arrays represent the best brightness-to-power ratio in the industry. Stationary rows are replaced with adjustable aisles where LED panels and crop rows are able to move laterally along a sliding rack system. The design maximizes space in the Greenery, optimizes workflows, increases production capacity, and gives plants greater freedom to grow. Moveable rows provide easy access to plants for convenient harvesting, pruning, cleaning, and maintenance. This drastically reduces labor and increases productivity. With the sliding rack system, farmers can arrange the Greenery based on their needs, allowing them to grow larger plants without experiencing spacing or airflow problems. The Greenery continuously relays all climate sensors to farmhand®. With this information, farmers can remotely monitor and control the climate, or even replicate ideal environmental conditions for consistent crop quality on a large scale. Updated systems throughout the Greenery, such as lighting and climate control, use and reclaim resources with unrivaled efficiency. 2019 Greenerys are made from purpose-built freight containers with all-weather paint, premium metalwork, and superior manufacturing. The Greenery’s increased insulation makes it possible to grow in more extreme cold weather climates. The new climate control system maintains internal farm conditions more effectively and efficiently, thanks to a higher BTU rating and integrated economizer feature. The Greenery features best-in-class dehumidification, with up to 4x the ambient moisture condensed, filtered, and recycled back into the farm's water supply. The Greenery starts at $104,000. Use the form below to download our feature-by-feature comparison between the Greenery and last year’s model, the LGM ‘18. Inside you’ll find details on the new plant panels, customizable aisles, LED array, and more!